With the rising uptake of solar power in the commercial and industrial consumer space, a number of specialist developers have emerged, who own and operate these solar projects for the consumers wanting cheaper solar power. 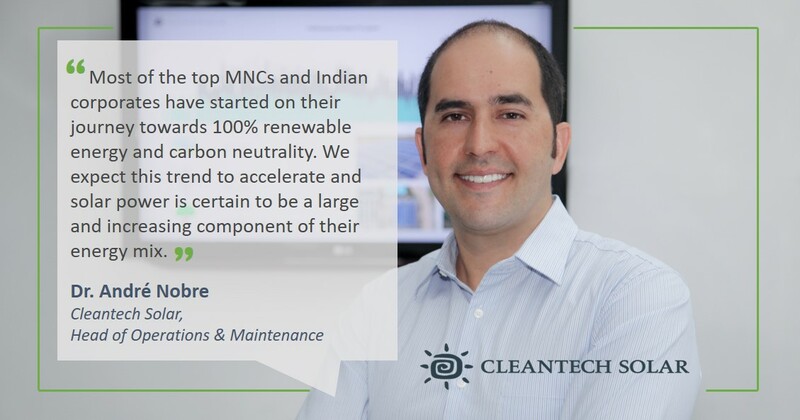 Singapore-based Cleantech Solar is one such player. 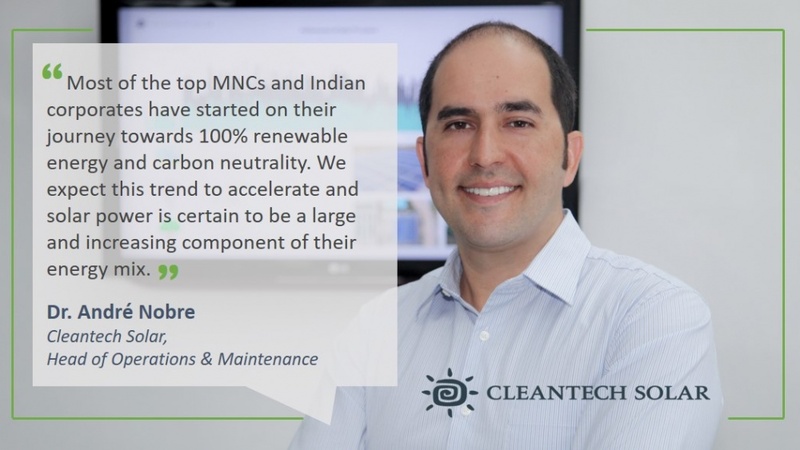 Renewable Watch speaks to Dr. André Nobre, head of operations and maintenance at Cleantech Solar about the company’s experience in the Indian solar power segment, various challenges faced by developers and future plans of the company.